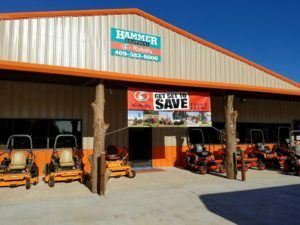 The member spotlight for Friday is on Hammer Equipment, located at 2581 N. Wheeler in Jasper. They have a wide variety of agricultural and mowing equipment from Kubota, Land Pride, and more! They also offer parts and repair service for the equipment that they sell. Whether you need equipment for the farm, construction site or for play, Hammer Equipment has the right tools and equipment for your needs.